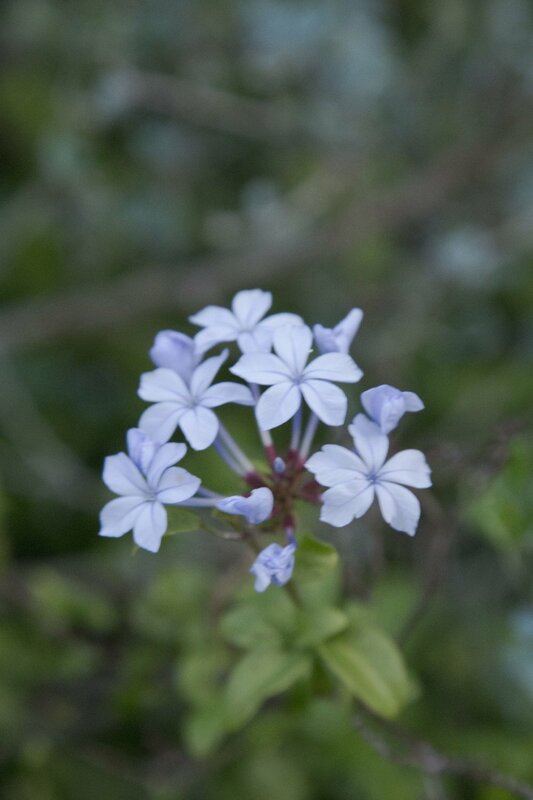 When you're in Cape Town, you must spend a day in Simon's Town! It's an hour long scenic route hugs the mountain side! You'll be sitting on the edge of your seat just to see the beautiful coastal view. 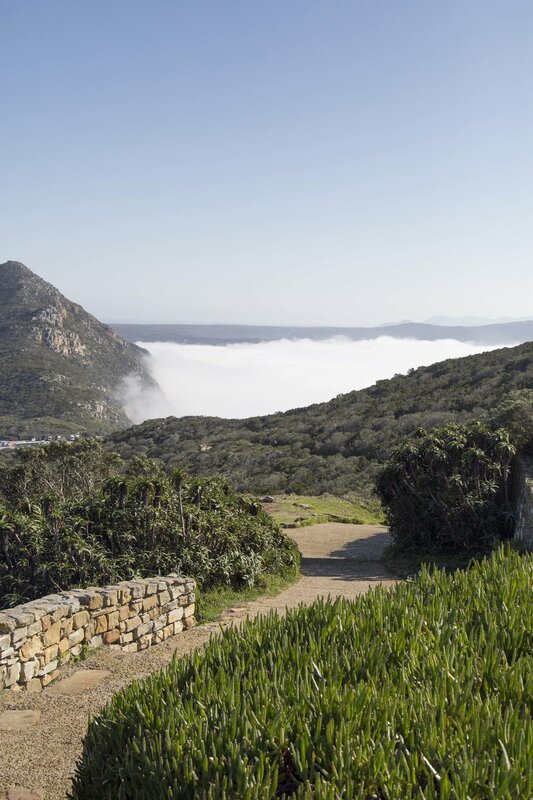 On the way to Simon's Town, you'll drive through Hout Bay, a town that has made its home in a valley, nestled on the Atlantic seaboard of the Cape Peninsula. My husband was very jealous that he had to drive and couldn't enjoy the view. The pros to not knowing how to drive manual! As we were approaching Hout Bay, signs with the the name Victoria appeared more frequently. I commented to Jordan, "How cool to see my name everywhere!" But he quickly dashed my excitement, sarcastically asking, "I thought you hated colonization though?" My name is forever ruined! 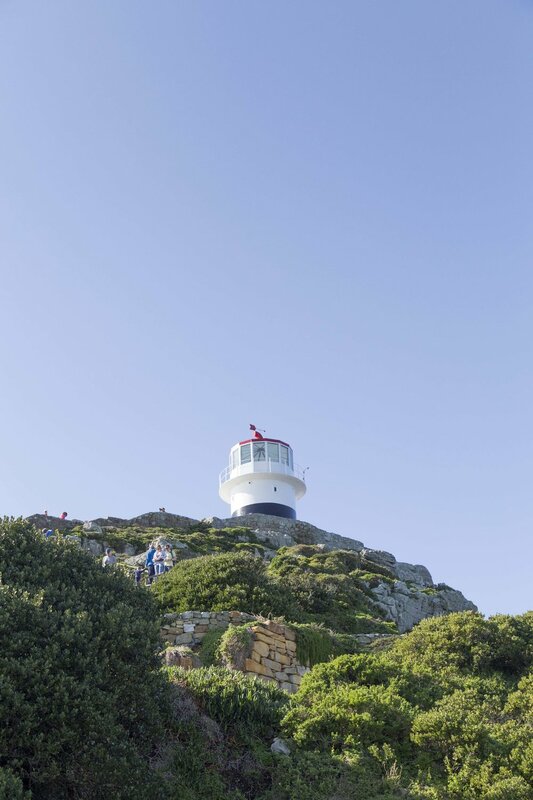 We started our day trip at Cape Point which is about forty minutes south of Simon's Town. 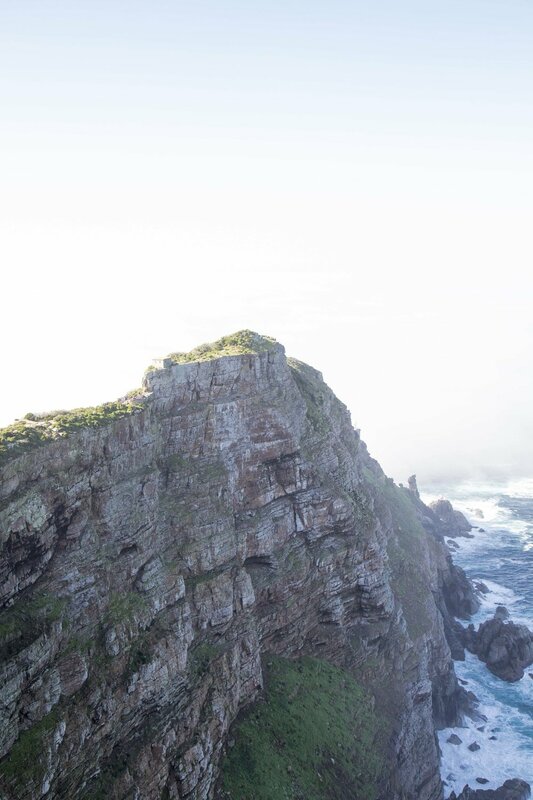 For you outdoorsy peeps, I'm sure you could spend an entire day at Cape Point! 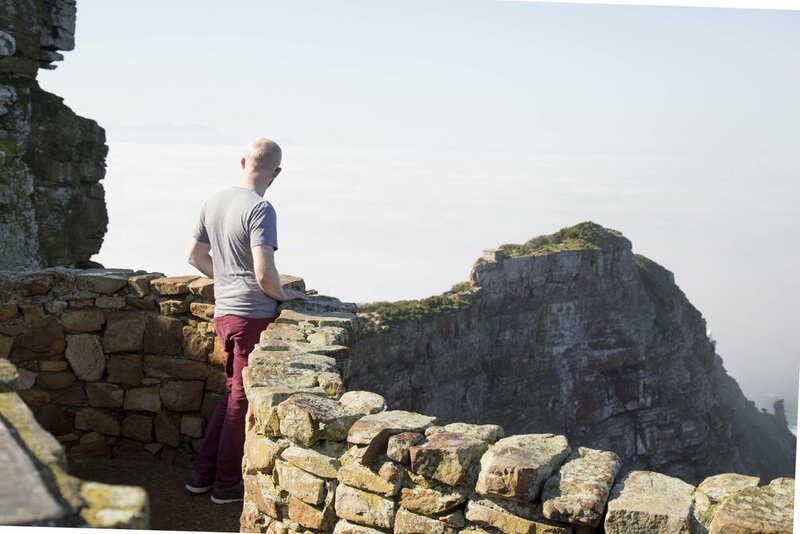 There are lodgings available in The Table Mountain National Park (I believe you can camp there or rent a cabin). 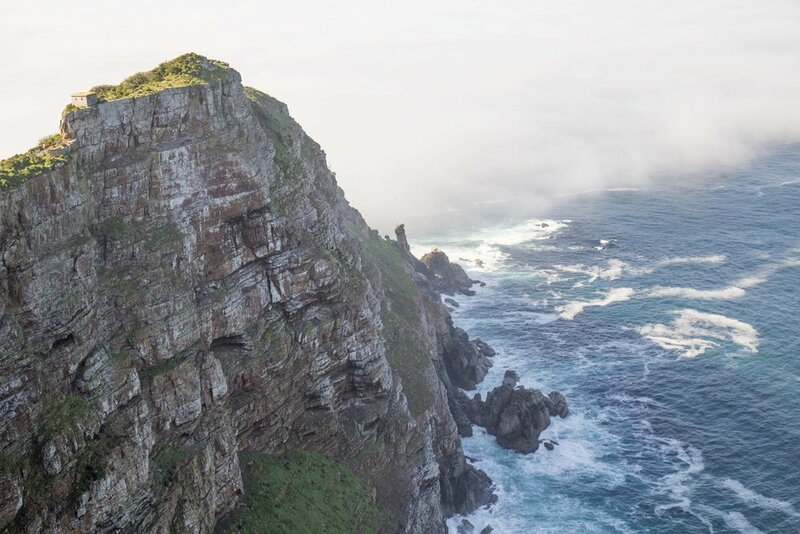 The attraction of Cape Point is purely hiking and sight seeing. 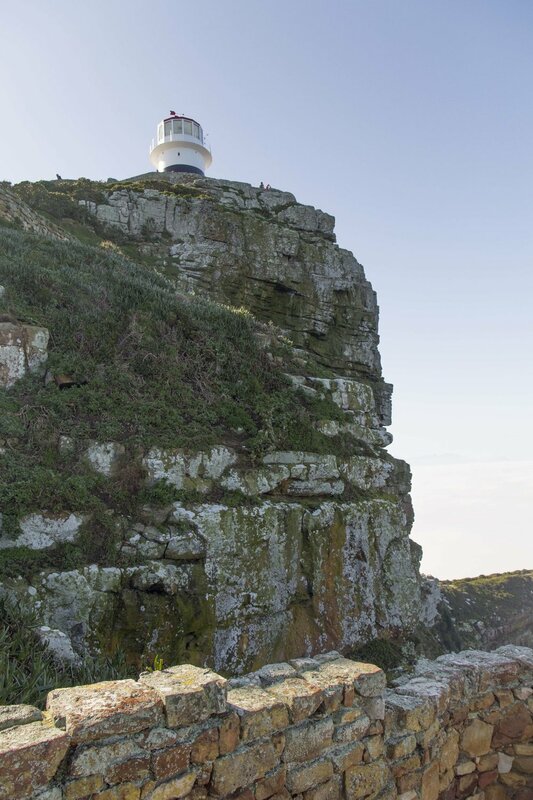 You hike up to the lighthouse and then from the lighthouse you can walk the hour long trail to the very point of the peninsula, The Cape of Good Hope. 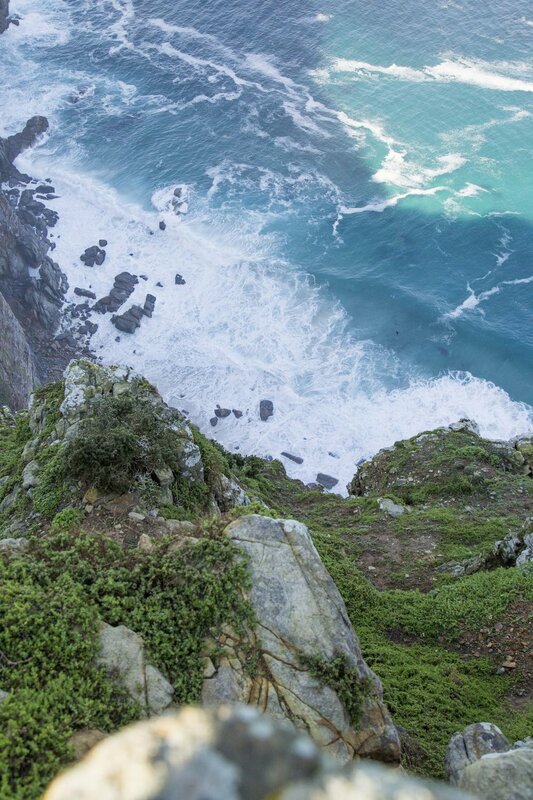 It is there that you can see the Indian and Atlantic Oceans meet. It was a sunny day so I as surprised to "see" the Indian Ocean covered in a cloud blanket. Ah, weather! 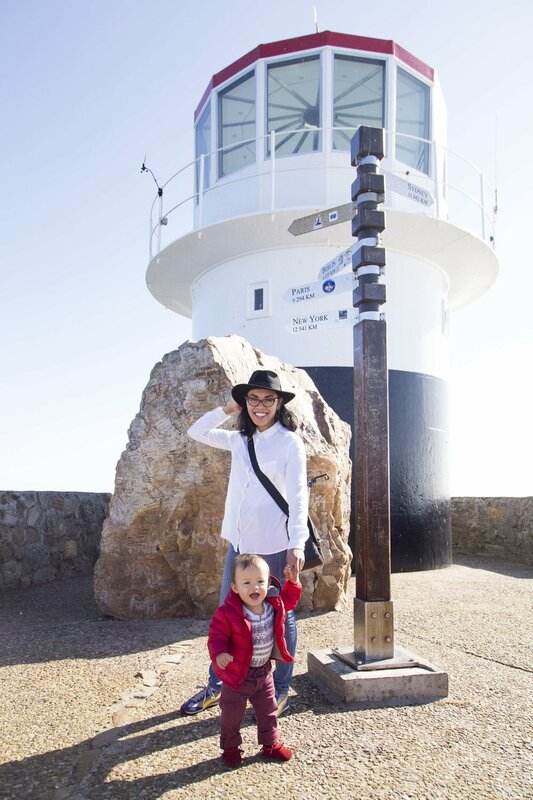 There is a trolly that goes up to the lighthouse, but you do miss the view of the ocean. We weren't aware of the trolly, so we hiked the stone walk way (that had several stairs along the way) with a stroller up to the lighthouse. 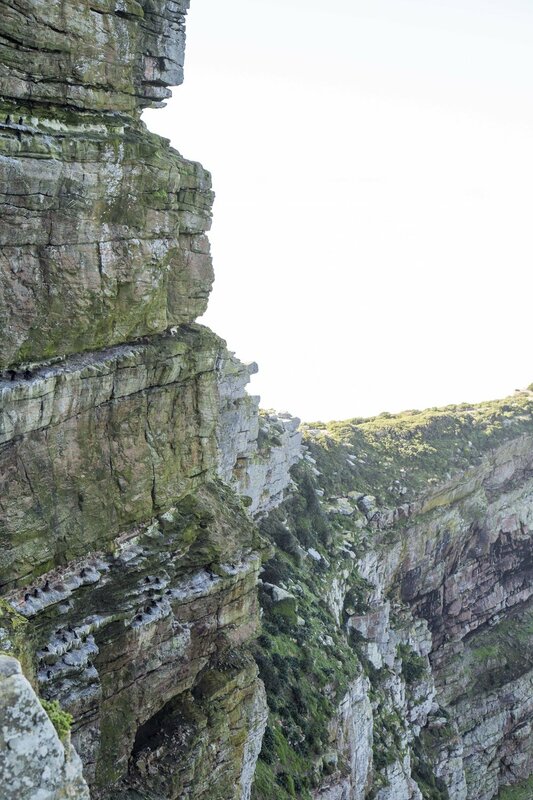 We sadly had to skip the hike to The Cape of Good Hope because, well, the hike wasn't meant of wee little ones. 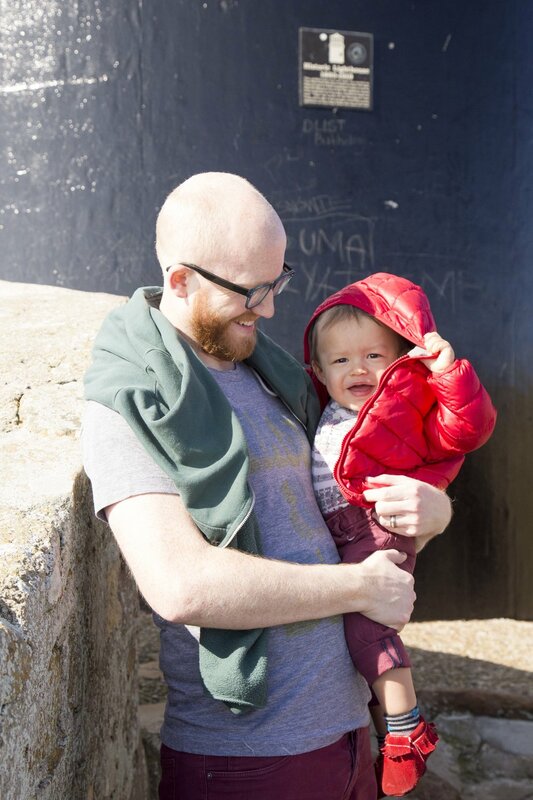 I recommend bringing a carrier for this outing if you have a baby.